2. Follow Hydra X (Facebook | Twitter | LinkedIn). Top 10 referrers will each receive between 0.1 - 1 bonus ETH! Simply refer others to complete the steps above and get them to key in your email address under “Referral Code” when signing up. Giveaway contest ends 30 April 2019. Winners will be notified via email to arrange for the transfer. T&Cs apply. Re: ETH Giveaway&Contest! 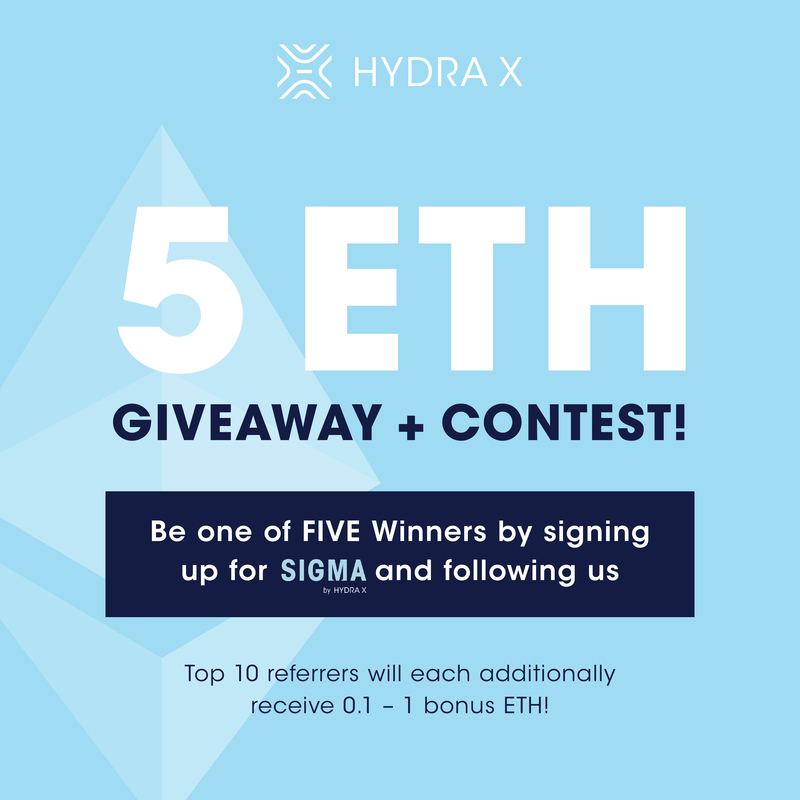 Sign up for trading platform + follow Hydra X! A very large picture makes it difficult to perceive. Please, make it normally. [NEW AIR DROP] PAPEL COIN AIR DROP-FREE PAPEL for Sign Up & more.